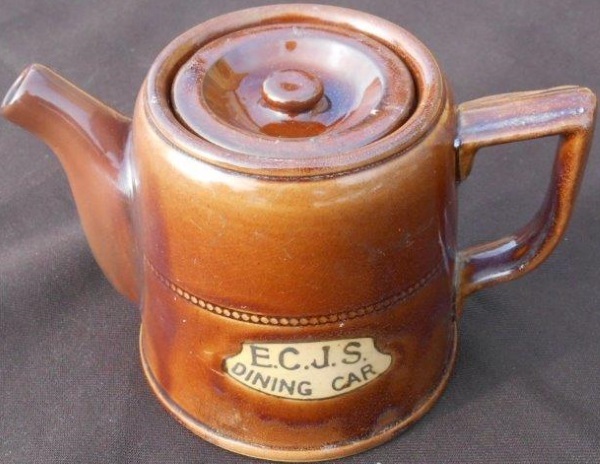 Lot 40 An East Coast Joint Stock brown stoneware Half Pint Teapot and lid. The side displays a light brown cartouche lettered in black ECJS Dining Car. VGC, with no chips.